The Federation's sensors are vastly superior to those of the Rebel Alliance. The Federation have something, that Empire never have - scanners, capable of detecting ships at FTL speed. Basically, Federation have interstellar-range radars, which allow them to control movements of all non-cloacked ships on parsecs range. 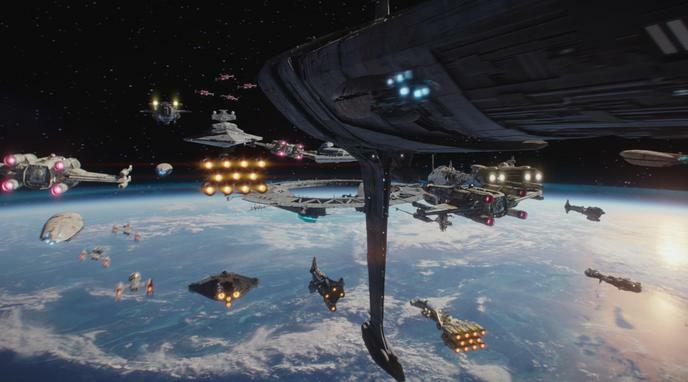 Any possible Alliance attack could not be sudden or unexpected, and it would be impossible for Alliance to retreat safely - Federation starships would follow them everywhere. Star Trek has sensors capable of pin-pointing an individual or even reading their DNA and genetic makeup, from orbit (essentially how transporters work), register the exact number, and co-ordinate for each. It also allows their weapons to make precision shots and target individual components with no collateral damage. Star Trek's long range sensors scan other sectors up to 20ly away. Star Wars ships have trouble identifying droids or pin-pointing life forms (can only tell if they're there or not) and can barely tell if shields are up or down. They are reliant on probes for long range scanning and can only just detect things in the same system, as seen in both EpIV and EpV. In Star Trek, sensors (especially transporter sensors) have countless ways to be blocked or jammed, significantly reducing this advantage.